Considering a private tour of Ireland?, Classic Ireland Guided Tours have prepared a suggested itinerary for a ten night trip to the Emerald Isle. 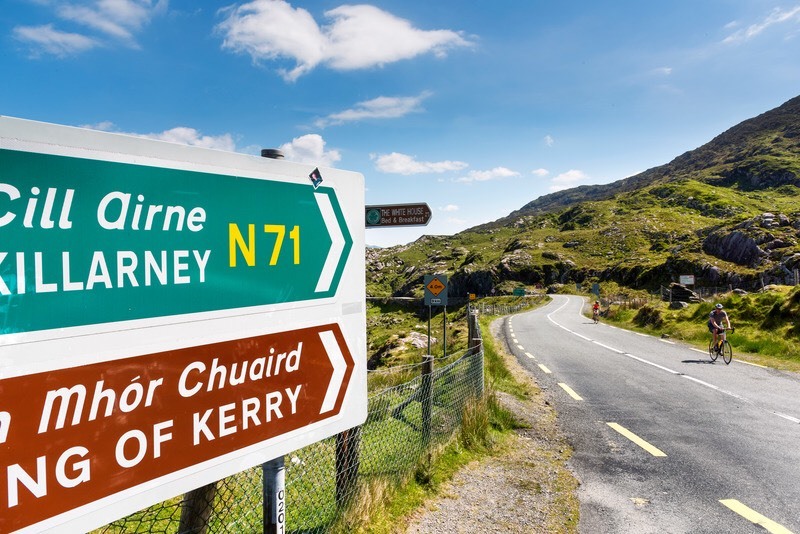 The itinerary covers the south of the country, i.e interesting locations south of a line running from a Dublin to Connemara, Co. Galway. This is a tour that will give you a deep experience of the history, culture and spectacular beauty of Ireland. Each day will offer something new. Have a look, this just might be the tour for you!. Day (1) You will be collected either at Dublin Airport or Dublin City. From Dublin you will tour through the Wicklow Mountains to Glendalough, Co. Wicklow. Glendalough was the site of a monastery established 1500 years ago. It became one of the most important monastic sites in the country. This location exemplifies Ireland’s Christian history. From Glendalough, you will tour to Kilkenny City for a two night stay. 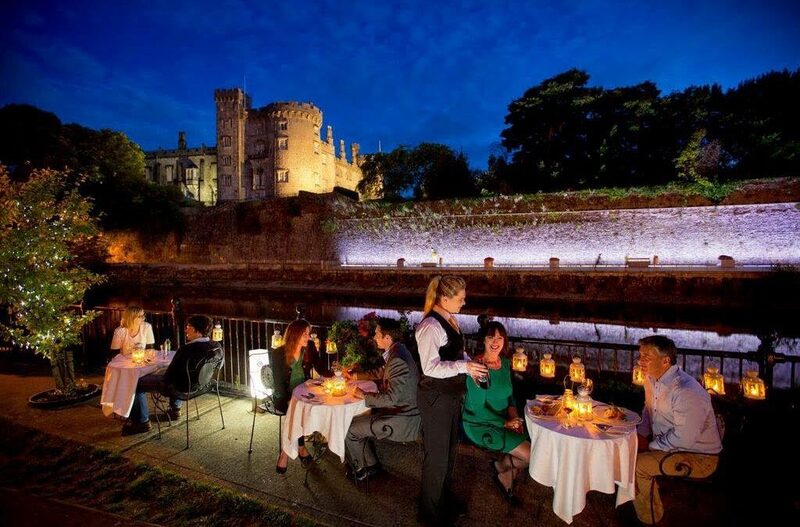 In the afternoon you have the opportunity to visit Kilkenny Castle, the original construction here dates back 800. Years. Kilkenny is a beautiful medieval city. Day (2) From Kilkenny you will tour south to Waterford City. Here you have the opportunity to visit Waterford Crystal and witness a demonstration showing how this famous crystal is skillfully produced. After lunch, a visit to the Waterford Medieval Museum is recommended. The artifacts on display in this museum are simply fantastic. You will then return to Kilkenny for your second night there. Day (3) leave Kilkenny and tour to the a Rock of Cashel in Co. Tipperary for a guided tour. From Cashel, you will travel south through Cork City to the lovely coastal town of Kinsale for a one night stay. This historic town is a real gem and offers a wide variety of gourmet restaurants. 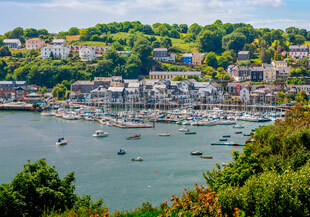 You will thoroughly enjoy your visit to Kinsale. Day (4) you leave Kinsale and tour to Blarney Castle and Gardens. Here you will have an opportunity to ‘kiss the Blarney Stone’. 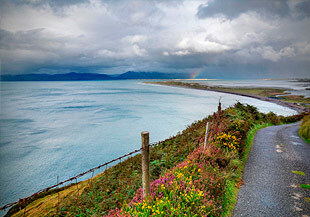 From Blarney you will tour to Killarney, Co. Kerry, for a three night stay. On your itinerary today is a visit to Muckross House and Gardens, a ‘Downtown Abbey’ type House where Queen Victoria once stayed. Day (5) On this day you would tour the magnificent Ring of Kerry, a combination of Atlantic coastal and inland lakes and mountains scenery. A great day out with awesome scenery and history to experience. 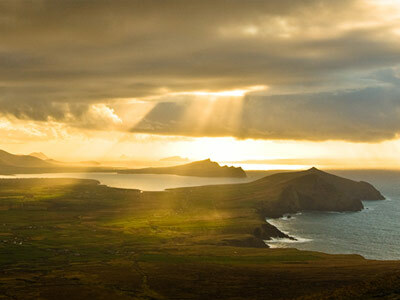 Day (6) Today is another day of stunnng scenery with a tour to Dingle and the Slea Head Drive, this is the area where the iconic film ‘Ryan’s Daughter’ was filmed. Another day of wall to wall stunning scenery. Day (7) You leave Killarney and travel north via Adare, Co. Limerick, to the Cliffs of Moher, Co. Clare, one of Ireland’s most iconic atlantic views. After lunch in the nearby village of Doolin, you will tour through The Burren to Galway City for a two night stay in this lively city. Day (8) On this day you tour west of Galway City into Connemara. 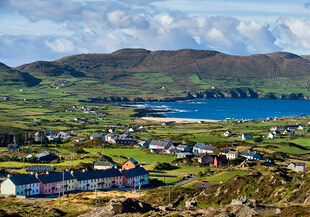 Your tour will take the coast road and then you will visit the lovely village of Roundstone. From here you will tour to Clifden and onto Kylemore Abbey for a guided tour. You return to Galway for your second night there. Day (9) you leave Galway and tour to another prime Christian site, Clonmacnoise, on the banks of the River Shannon. This is a very historic and must see location. From Clonmacnoise you return to Dublin City for a two night stay. Your guided tour ends at this point. Day (10) a free day in Dublin City to see all this historic city has to offer. Day (11) You leave for home.